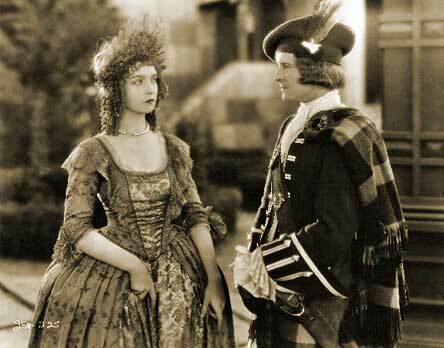 The fifth instalment of Scotland’s only silent movie festival announces its programme today – and judging by previous years, you should start snapping up tickets straight away (tickets go on sale today, 10 February 2015, at noon). The Hippodrome Festival of Silent Cinema takes place in Bo’ness, a small town tucked away on the banks of the Firth of Forth in Falkirk, Scotland. Bo’ness has a stunning vintage cinema, the Hippodrome, which has been restored to its 1920s glory, and each year hosts of a celebration of the silent era that is as welcoming as it is wide-ranging. HippFest celebrates its fifth birthday in style with three major World Premiere Festival Commissions, a pop-up cinema at Bo’ness & Kinneil Railway, the chance to discover forgotten stars Colleen Moore and Eric Campbell and get hands-on with a series of workshops and interactive events covering everything from beatboxing to Joan Crawford’s favourite dinner party recipes. You can find all the information about the festival, and how to book tickets for the events, on the festival website here. You can also follow the festival on Facebook and Twitter. This year’s event runs from 18-22 March 2015 and below I have picked out some highlights from the programme. I have to say I am pretty excited. “The Film Explainer” Andy Cannon will perform alongside extracts from Dr Jekyll and Mr Hyde, along with musicians Wendy Weatherby and Frank McLaughlin. Don’t go to Bo’ness without me, darling! Scotland’s only silent film festival returns to the glorious Hippodrome cinema in Bo’ness with another impressively wide-ranging programme. There are some real treasures to be unearthed here: rare screenings of little-seen but highly valued films, and innovative ways to share the magic of silent cinema with younger audiences. Gala screenings include the Dodge Brothers‘ Scottish debut, accompanying the Hollywood classic Beggars of Life, starring Louise Brooks; Jacques Feyder’s heartstopping Visages d’Enfants closes the festival, with music from Stephen Horne; Frank Borzage’s wartime weepy Lucky Star plays on the Friday night, with Neil Brand on the piano; and Jane Gardner will perform a specially commissioned new score for Ozu’s gangster drama Dragnet Girl. German group The Aljoscha Zimmermann Ensemble will provide a score for Murnau’s timeless The Last Laugh; Jason Singh will create his magical vocal soundscapes for Grierson’s landmark documentary Drifters, live at the Hippodrome. Scotland’s only silent film festival seems to go from strength to strength. 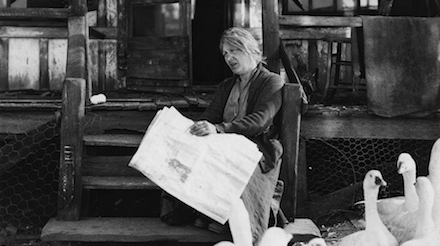 The newly released lineup for the third Hippodrome Festival of Silent Cinema looks more varied and ambitious than previous years – and well worth a journey north of the border for us southern softies. It’s bigger than before, too – running from Wednesday to Sunday. 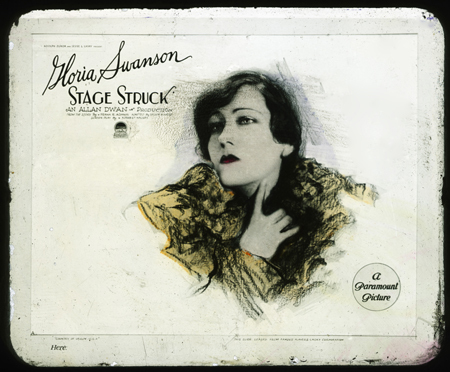 Friday night’s gala screening is Allan Dwan’s part-Technicolor comedy Stage Struck (1925), starring Gloria Swanson – with Neil Brand on the piano. 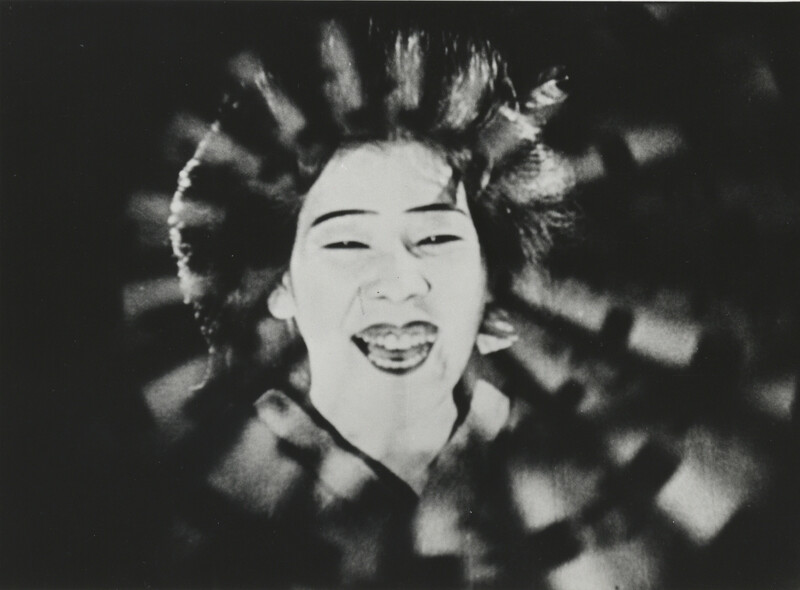 Other notable highlights include the Dodge Brothers’ spirited accompaniment to the rarely seen Soviet film The Ghost That Never Returns; Japanese favourite Crossways with a score by electronic rockers Minima; and Lubitsch’s irrepressible comedy The Oyster Princess, with music from Günter Buchwald. Stage Struck – Neil Brand accompanies the glamorous Friday Night Gala starring Gloria Swanson, familiar to audiences today as bitter and forgotten silent movie queen Norma Desmond in Sunset Blvd. Includes ‘champagne’ reception. The Ghost That Never Returns – In their Scottish debut, The Dodge Brothers make joyous music inspired by Woody Guthrie for this little-known Soviet gem. Jujiro (Crossways) – Leading UK contemporary electronic ensemble Minima perform their new score for one of the first Japanese films ever shown in the West. The Oyster Princess – Virtuoso Günter A. Buchwald makes his Hippodrome debut with a glorious comedy directed by Ernst Lubitsch (The Shop Around the Corner). The Goose Woman – After 2012 Festival success with The Black Pirate, Jane Gardner returns to perform her new score for this film based on a still unsolved real-life murder, with Hazel Morrison and Su-a Lee on percussion, cello, musical saw. The Film Explainer Returns –Andy Cannon, Frank McLaughlin and Stewart Hardy bring archive films to life with their blend of storytelling and trad folk music. New Found Sound – The third year of hugely talented Falkirk Council secondary school pupils composing and performing their own scores under the mentorship of Tom Butler of the Royal Conservatoire of Scotland. Scottish Screen Archive Shorts – Continuing the relationship with the national film archive, Mike Nolan and Forrester Pyke accompany shorts before selected features. Baby Peggy, the Elephant in the Room – UK premiere of this fascinating new documentary telling the moving and inspiring story of the oldest surviving silent film star whose acting career started at 18 months and stopped abruptly at age 4. 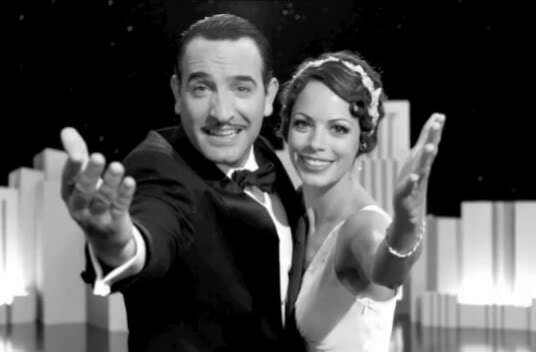 The Artist – Oscar-winning performances in the modern silent movie sensation. A Chance to Dance – Learn the Charleston and other early jazz steps from the Roaring Twenties in this public dance workshop for everyone aged 16 and over. Chaplin & Keaton Double Bill – Bring a clean jam jar to get 2-for1 tickets to see Neil Brand accompanying Chapin’s The Immigrant and Keaton’s One Week. 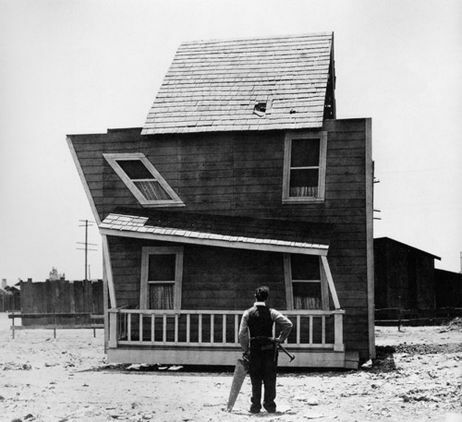 Another Fine Mess with Laurel & Hardy – The boys’ triple bill of Putting Pants on Philip, Their Purple Moment and Double Whoopee with Günter A. Buchwald. Make Movie Music! – The Glasgow Improvisers Orchestra return with a fun-filled session for primary schools using the classic Berlin, Symphony of a City. #HippFest @ Fusion – Using his incredible vocal talent, human beatboxer Jason Singh creates soundtracks with Fusion, a popular night for Bo’ness young people. 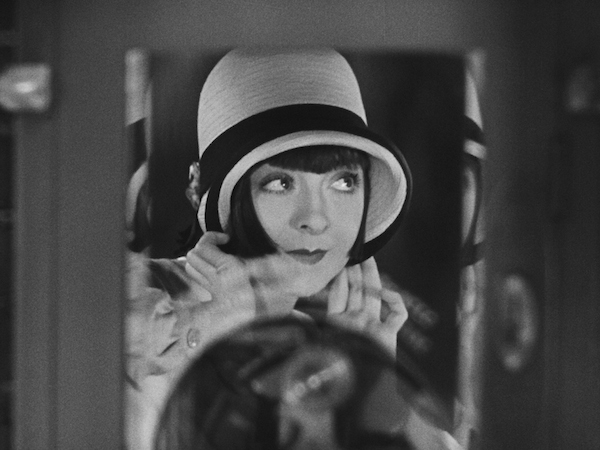 The Hippodrome Festival of Silent Cinema runs from 13-17 March. Tickets go on sale at 10am today. Call 01324 506850, or visit the Steeple Box Office, High Street, Falkirk FK1 1NW.To read more and to book online, visit www.hippfest.co.uk. If you book before 25 February – you’ll get a 10% discount on your tickets! The Hippodrome Cinema in Bo’ness, Falkirk, beautifully restored to match its 1920 heyday, will host Scotland’s first silent film festival – and it promises to be an event with a real ‘vintage’ feel. The programme incorporates some enduringly popular silents, from a rare chance to see It (1927), starring Clara Bow, to FW Murnau’s influential vampire film Nosferatu (1922) and Charlie Chaplin’s The Kid (1921), plus a handful of comedies from Buster Keaton, Laurel and Hardy and Harold Lloyd. Neil Brand will provide musical accompaniment to several of the films, and he will also perform his acclaimed one-man show The Silent Pianist Speaks. David Allison of The Island Tapes will reprise his score for Nosferatu at the festival’s closing night gala, and another of the films will benefit from a specially commissioned soundtrack performed by local schoolchildren. There will be a Slapstick Workshop for over-12s by Scottish theatre company Plutôt La Vie, and a new, specially commissioned soundtrack for one of the films performed by local schoolchildren. Another retro treat for younger viewers is the “jeely jar special” – a revival of a 1920s practice whereby film fans can get a two-for-one deal on tickets for The Kid if they bring along a clean jam jar (with lid). Bargain. The whole event is designed to celebrate the magic, glamour and pure entertainment of films from the silent era. Our programme and the supporting events include something for all ages and we’ve made sure that the wide appeal will involve a broad range of tastes, from cinephiles to anyone discovering early film for the first time. For full details and to download a brochure, visit the website here.